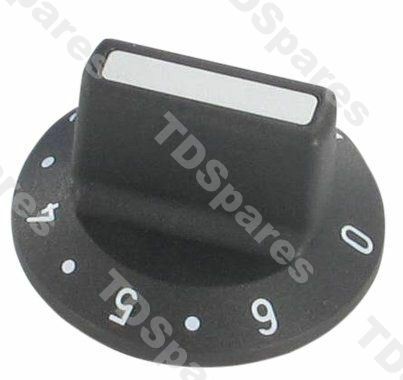 Replace obsolete or missing hob or grill control knob with this genuine spare part from EGO, fits all energy regulators, simmerstats and thermostats that have a 6mm shaft diameter (please check this). You may also need this knob if changing from a 4.7mm shaft to a 6mm shaft regulator. Universal Black Cooker Control Knob For 4.7mm (3/16") Spindle..